Charon...hmm...i forgot about him, its been awhile since i played Platinum. And with Jasmine being there...it doesnt exactly scream remake but i did like the fact they put her in it. And does the fact that like half the sinnoh leaders are in HGSS scream remake to you? No. Not for awhile at least...and one more thing, now that you reminded me of Charon, Cheren isnt so original Charon<----->Cheren...same name. we've already ruled that out. plasma is just fire and electric together. but a fire/electric pokemon would be interesting. Could it be the Fire/Electric is Pokabu's final evolution type? Anyway, i'm wondering what plot does Team Plasma are going to be. They want to shift the balance of something between trainer and pokemon. i dont think the new poke will be gray. i think it will be chrome. Is it just me, or is Isshu enforcing many Pokemon steriotypes? If so, a good thing to copy would be the 8th gym leader backstory. Isshu's 8th gym leader should be the leader of Team Plasma! He/she could also use the Dark Type! It would kill two Pidgey with one stone, and it would make sense (villain = dark). If so, a good thing to copy would be the 8th gym leader backstory. Isshu's 8th gym leader should be the leader of Team Plasma! He/she could also use the Dark Type! It would kill two Pidgey with one stone, and it would make sense (villain = dark). I'm completely agree with you, but why don't make the leader the champion instead? It could be interesting. and, like the third game you get iris's kibago that follows you like in yellow, that would be auesome! I dunno, while the Champion shouldn't be evil, eighth Gym Leader has been done, any other Gym Leader seems too early, and Elite Four member sounds lame. I think the Champion would be an awesome spot for the evil leader. And it could explain why they get away with so much. I feel that having him/her as Champion would make one effective climax instead of two "half-climaxes" like most of the other games. Having the villian boss as the champion would be interesting, but that would still conflict with team plasma's goal to liberate pokemon, wouldn't it? 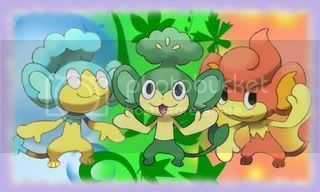 I think that you thought that people will think "How could an Elite Four leaded by the leader of crime organization? ", and makes the image of Elite Four worse. i wonder what's the significance of the knight uniforms?? Knight uniforms? Is that the Plasma uniform? Has that been confirmed? Yes, I beleive that has already been confiremed. As for there significants, all I can think of is that team plasma is an anceint order. I think Team Plasma and BW entirely will be better than all the past games, I agree that they may be trying to remove balance, they may have been an ancient order, or they just want to hurl the world back in time basically and remove all technology...and probably make it a monarchy where Team Plasma rules. The man with the crown in the one preview trailers is probably the head of team Plasma, and seeing as he looks similar to N, they're likely related. That also may be the cause of N's plans. So they do want to take over according to the theory I just stated, except they want to do it by liberating pokemon and removing technology...big plans. And if there is no technology and no pokemon, there is no longer the balance...think i'm right? Or at least close?